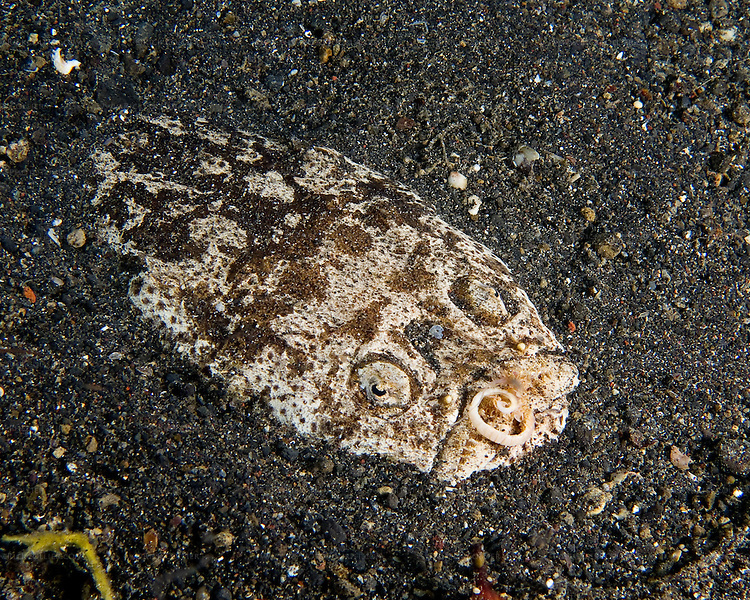 The Stargazer is an ambush predator that hunts at night. It buries itself in the sandy bottom, creating a shallow depression with only its "face" exposed. The fish will remain completely motionless -- a fixture in the bottom. Until an edible-size fish seeks refuge in its sandy depression. Then: Meal time. What surprises many divers is the Stargazer's long tongue -- revealed when it "grabs" a meal. This shot was triggered when the stargazer grabbed a passing small fish. The strike was too fast to catch all the action, but notice the curl of tongue still exposed.